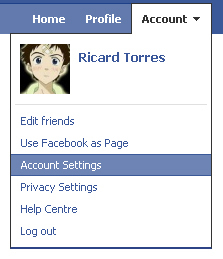 You can download all your photos, videos, friends, status... from your facebook profile to your computer. Why facebook has launched this feature? Perhaps they expect the servers to crash so you can restore the profile information. Oh wait! There is no restore profile function. After some research I found an article. 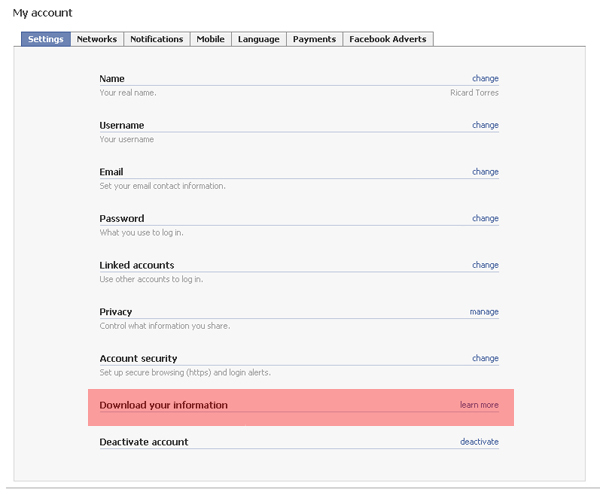 David Recordon (Senior Open Programs Manager at Facebook) said that giving the chance to download the profile info means that facebook don't own the data at all. At first sight the new feature seems useless. Click on the Learn More link on the right. Click download. They'll e-mail you when the files are ready. 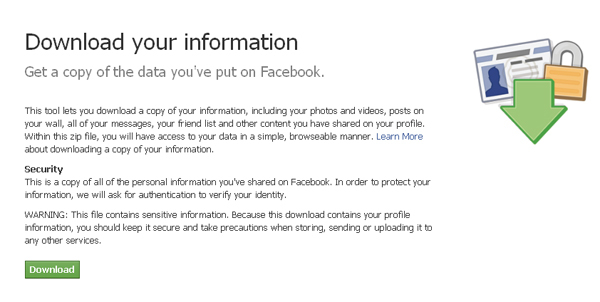 Even being able to download all the data you previously uploaded, Facebook is still owning everything. Looks like “We give you this feature so you think that bad about us”. 4.789.804 post views so far. This page needed 44 queries to load.